Life's a Beach | Expat Life in Playa del Carmen : Riviera Maya Dive Alliance Kicks of Photography Contest Sponsored by Canon! 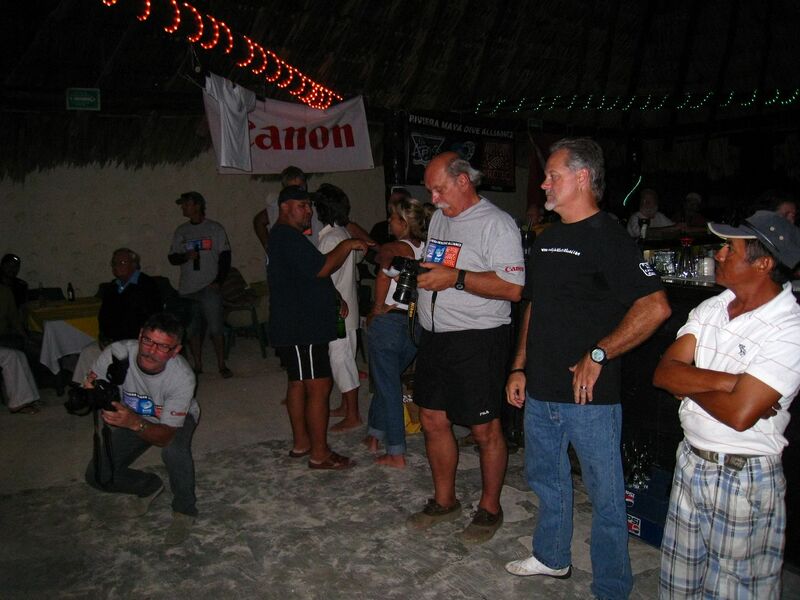 On Saturday evening, the founding organizers of the Riviera Maya Dive Alliance kicked off their 1st Underwater Photography Contest at Captain Dave's Bad Boys Beach Bar in Playa del Carmen. 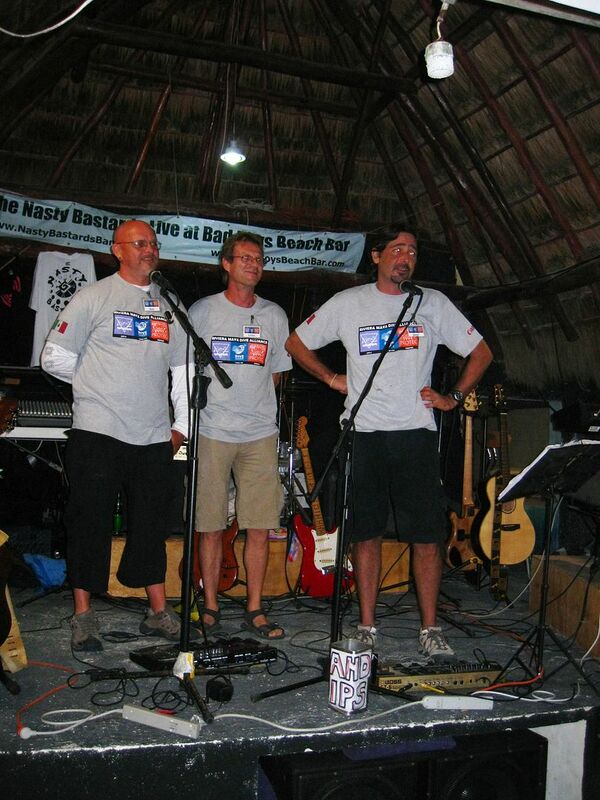 This unique union was formed by three of the finest regional dive centers, combining their expertise and professional resources as colleagues and friends to offer dive services and special events to scuba divers world wide. Abyss Dive Center, Tank-Ha Dive Center and Protec Dive Center have been diving the Riviera Maya's Meso America Reef system, hosting and training scuba divers in their businesses for over 12 years. This week long photography contest and workshop, sponsored this year by Canon, is one of the many events organized by this intrepid group to promote scuba diving in this region and expose to the diving and photography world the amazing natural resources that the Riviera Maya has to offer. It was a fun evening and a nice way to inaugurate this event. The Nasty B.astards Band played throughout the evening and got the crowd up and dancing. Not surprisingly, there was a lot of flashes going off right and left as participants documented the evening's events. 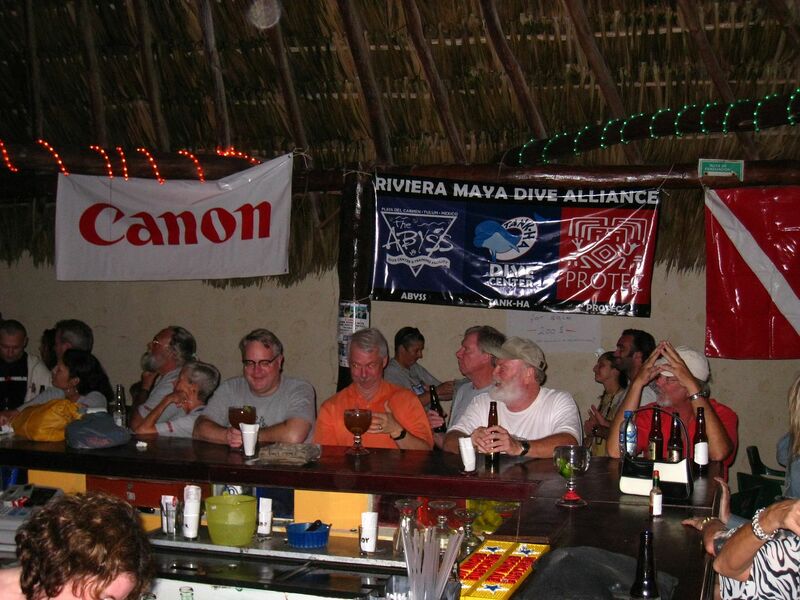 For more information on the Riviera Maya Dive Alliance, the participating dive centers and this special event,please follow the links posted above or email info@scubadivinginmexico.com.